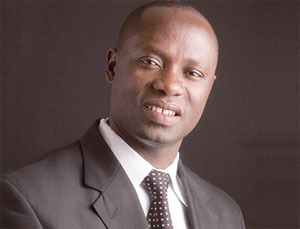 The Minister of Petroleum, Mr Emmanuel Armah-Kofi Buah, who revealed this at a summit in Accra, said the government was leaving no stone unturned in developing the country’s gas potential for a sound economic take-off. The documents, he said, would follow the Gas Master Plan, presently before cabinet awaiting approval. The minister said a major challenge for the sector was appropriate infrastructure that would ensure gas delivery to consumers in a cost-effective manner. “My ministry is taking steps to address infrastructure planning and delivery requirements in a Gas Strategy outlined comprehensively in a Gas Master Plan. This master plan is currently before Cabinet for approval,” he said. “Once cabinet approves the plan, the ministry will develop a Gas Policy and Gas Bill that will provide a transparent regulatory framework for the industry,” the minister indicated. The Chief Executive of the Petroleum Commission, Mr Theo Ahwireng, said the country’s upstream petroleum industry, though nascent, continued evolving and growing at a promising rate, rife with opportunities. “Since the discovery of oil and gas in commercial quantities in the Jubilee Fields in 2007, with 25 additional discoveries, including two new discoveries made in the Deep Water Cape Three Points (DWCTP) in the first quarter of 2013, Ghana’s upstream petroleum sector continues to grow steadily,” he said. Mr Ahwireng said appraisals and development were underway for current discoveries, exploration in the onshore Voltaian Basin, one of four sedimentary basins in Ghana, was ongoing, in order to increase the country’s resource base. “In this light, reconnaissance exploration activity has been planned to better understand the prospectiveness of the frontier Voltaian Basin,” the chief executive added. “As we work with industry players to build a robust industry, we continue to welcome increased investments and reinvestments in our upstream petroleum sector,” he said. He added that the Petroleum Commission was keen to welcome investors who were willing to work with the country to make the upstream petroleum sector stand at par with the world-class sectors. The Chief Executive Officer of the Ghana National Petroleum Corporation (GNPC), Mr Alexander Kofi-Mensah Mould, for his part, said Ghana offered a stable and predictable environment for private power investments to expand their generation capacity. He also said energy had become a national priority after the recent power challenges led to persistent power outages that hindered economic development. “GNPC stands ready and willing to engage with and partner investors in exploring opportunities in the sector,” Mr Mould stated in a speech read on his behalf by the Chief Operating Officer of GNPC, Mr Michael Aryeetey.